Freemasonry crossed the frontier into the Indiana Territory officially in 1809 when the Grand Lodge of Kentucky organized Vincennes Lodge No. 15 in that growing town along the banks of the Wabash River. It would take nine more years and the declaration of Indiana statehood before the formation of the Grand Lodge of Indiana F&AM on January 13, 1818 in Madison. Since that time, Indiana's Freemasons have been at the center of their communities, their state, and the nation. 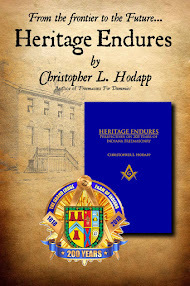 Heritage Endures by Christopher Hodapp (Freemasons For Dummies) is a different type of grand lodge history book. It frames the Hoosier state's fraternity within America's history and the outside Masonic world for the last two centuries. 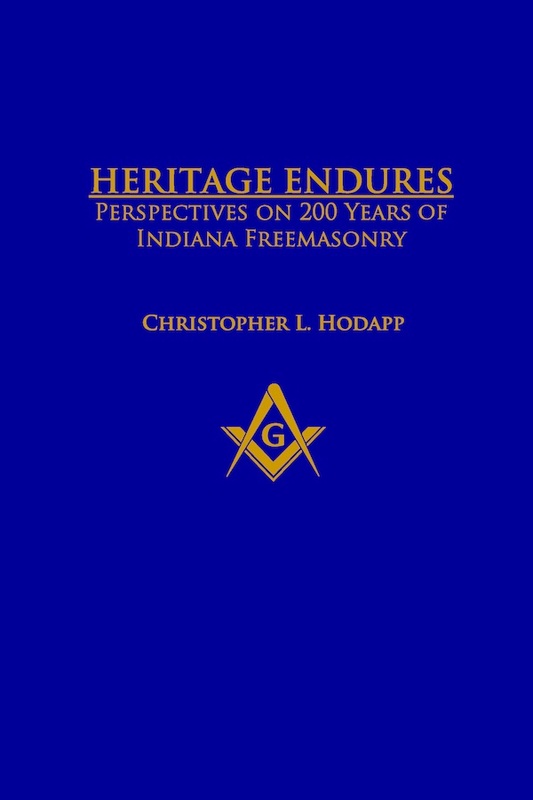 Heritage Endures explores some of the most fascinating, heroic, touching, turbulent, and a few of the most unsettling moments of Indiana's and America's Masonic history. This book was commissioned by the Grand Lodge of Indiana F&AM for its 200th anniversary. 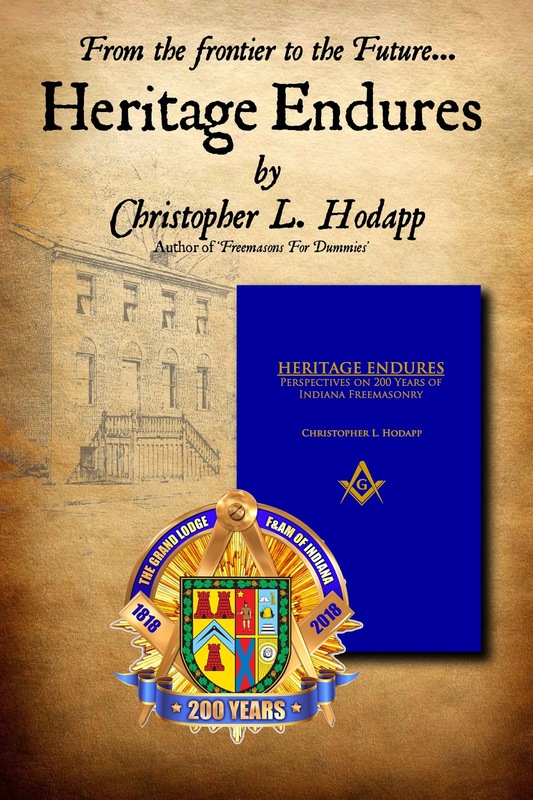 But Heritage Endures goes far beyond the borders of Indiana and tells a broader tale of Freemasonry as a fraternal and social force that has evolved and adapted to suit the times in which it has resided. 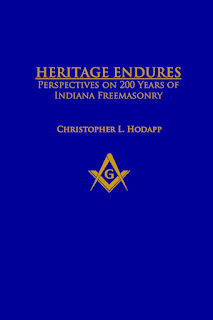 It is a unique series of perspectives of the Masonic fraternity in America as a whole, using the Hoosier state's Masons and their lodges as an example of the nation's wider fraternal landscape. And finally, if you absolutely insist on ordering through Amazon for convenience or out of sheer stubborness, you can CLICK HERE. 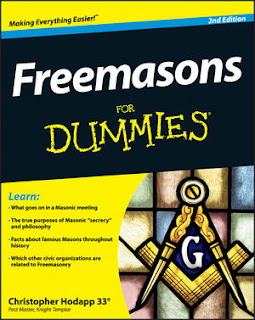 Just be aware that because I cannot get these from the Grand Lodge at a discount, and Amazon plops another $8.35 on top of the lowest list price I can provide these for. At $35, Amazon is the most expensive way possible to order the book at this time. I have been interested in the history of freemasonry in Indiana for quite some time. I look forward to reading this book! I am not a member, but I have always been curious about the Scottish Rite Cathedral in downtown Indianapolis. Thanks for making this book available!